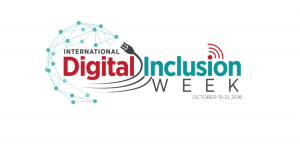 In an effort to increase digital equity awareness globally, the US National Digital Inclusion Alliance and the Australian Digital Inclusion Alliance co-organized International Digital Inclusion Week (IDIW) on 15-21 October, 2018. 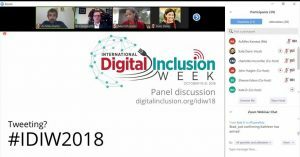 IDIW2018 aimed to increase awareness and commitment to digital inclusion, create opportunities for national focus, promote international engagement and learning, and act as a catalyst to build an enduring coalition of national digital inclusion alliances and international efforts to create global momentum towards a fully digitally included world. 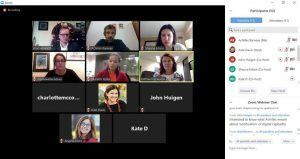 Share a best practice – what has worked really well? Achilles presented the ALL DIGITAL European network of providers of digital skills training, highlighting its focus on enhancing the digital skills of European citizens and identifying some of its activities, such as support the adoption of digital skills frameworks (such as #DigComp), organizing the European ALL DIGITAL Week, supporting the establishment of National Digital Skills and Jobs coalitions in European countries, producing policy papers, organizing consultation events and implementing projects on digital skills that have Europe-wide impact, such as DCDS. Achilles mentioned that in ALL DIGITAL, we adopt an inclusive strategy in the design our training programs. Initially, we involve community members in the piloting phase of the projects; thus we receive their evaluation of the proposed training programme and only after that we create the final version of the programme that we offer. In the context of best practice, Achilles presented our DCDS (Digital Competences Development System) project as a good practice of designing and developing a common European framework for the certification of digital skills, a topic of great interest around the world, because it can lead to universal recognition of digital skills and global mobility; both are important steps towards achieving digital inclusion at international level. the lack of understanding of the capacity and properties of digital technologies. Digital technology changes very fast, therefore digital competences must be maintained and upgraded, while in some countries or areas there is no easy way to access digital technology or comprehend digital services (e.g. technology too expensive, services complicated). Inclusive policies must be designed and implemented, especially for vulnerable groups that do not present financial interest could be easily excluded. According to Achilles, access to digital world should be a commodity like access to water or electricity. Based on his experience after years of designing and implementing training programs on digital skills, Achilles emphasized that a huge investment should be made on the professional development of teachers and trainers, because the success of digital inclusion activities depends on them. Collaborative efforts always have greater impact than solitary efforts and for this reason discussion and mutual compromise could drive the effort forward. In addition to bottom-up activities, top-down systematic activities should be funded (for example, new occupational profiles, standardization frameworks etc). The combined impact of such actions can exceed by far the topical activities. Finally, Achilles proposed to set up international collaboration activities that could make a difference to digital inclusion worldwide, such as exchange of good practices and ways to transfer them, international digital skills recognition and certification schemes, international occupational profiles taxonomies, exchange of training curricula and content and exchange of experts and trainers, noting that ALL DIGITAL would be happy to lead this endeavor. 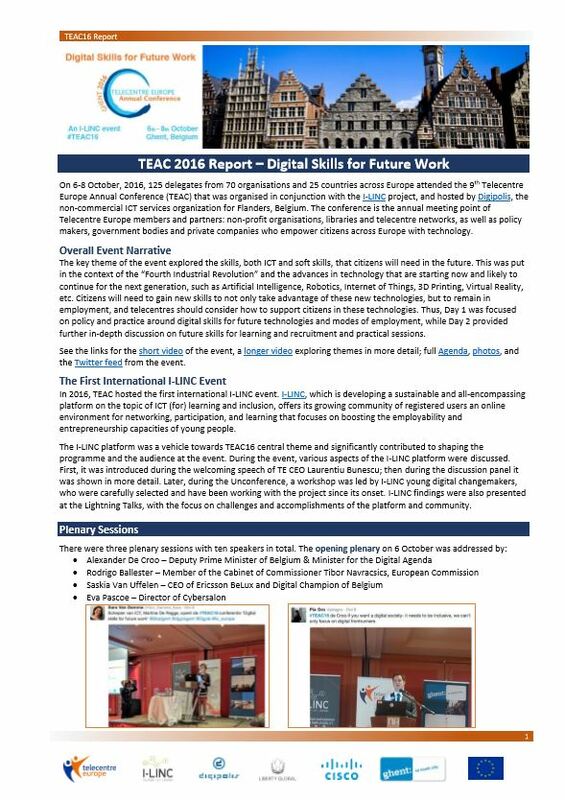 As a first step, we can mention the networking event “Towards a European certification framework of digital skills” that will take place during ICT2018 Event.